Our pressure washing systems allow us to expertly clean a variety of outdoor hard surfaces leaving them like new. If you have a garden, courtyard, driveway or outdoor space that is looking a little lack lustre or has years of moss or algae build up then why not get a free quote. 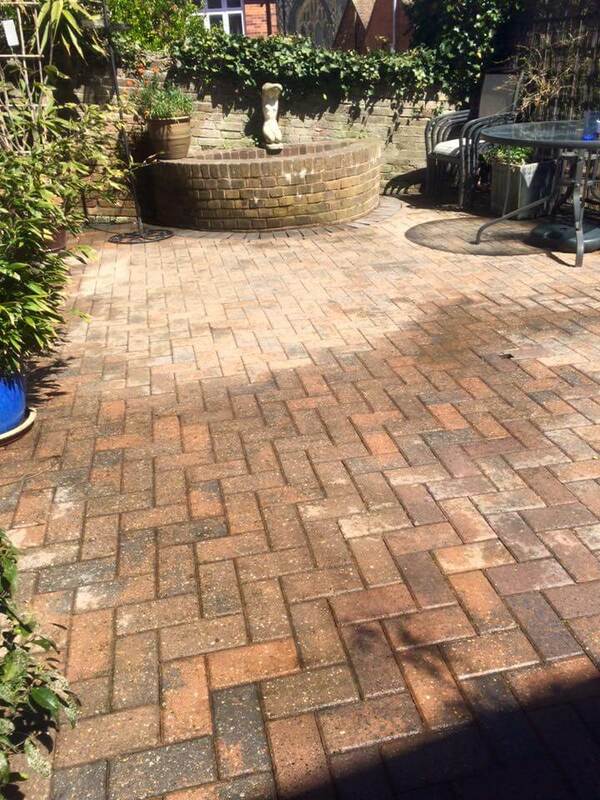 Pressure washing can revive a variety of materials including brick, woodwork, natural stone, concrete and metal. This can not only clean and restore your exterior it can also help preserve the material for many more years to come. For properties suffering with black algae and other more stubborn pollutants you may require additional cleaning chemicals, we will discuss this with you prior to any cleaning. If you are unsure if pressure washing is right for your exterior we can arrange for you to arrange to speak to an experienced member of staff. On larger projects and commercial projects, it may be suitable to arrange a test patch.